You want to examine the GAC in order to check if the Telerik UI for WinForms are installed or perhaps more that one version exists. 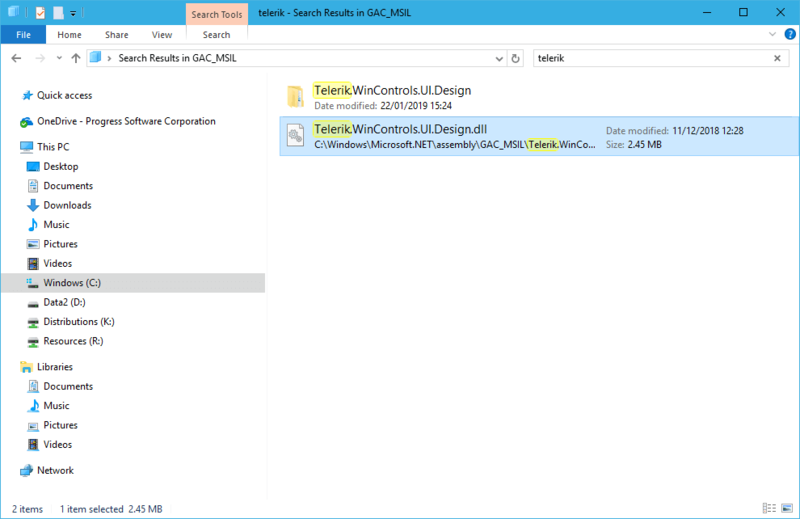 Open the .NET 4.0 GAC folder in the explorer. The GAC is located in the following folder: C:\Windows\Microsoft.NET\assembly\GAC_MSIL. Search for the Telerik assemblies. That is all, you can remove the old assemblies directly from the search results.